There is nothing quite as elegant as a brick home. Masonry work is known for its durability as well as its beauty, but many people are surprised to learn that most brick homes built in the last 30 years are not made from solid brick but brick veneer siding. A true brick home is made from the ground up, block-upon-block, to support the home. Brick veneer siding, on the other hand, is attached to the house itself, similar to vinyl siding. While it’s still real masonry, it’s really just a layer over the home’s wooden framework. Brick veneer offers many of the same benefits of solid brick homes, including durability and insulation, at a fraction of the price. If you want the durability, performance, and charm of genuine brick masonry without the cost of building a home from the ground up, lightweight brick veneer may be a good option for you. This buying guide for brick veneer siding will help you evaluate your many options in terms of styles and costs while comparing it against other siding options. There are dozens of brands that manufacture brick veneer, although a few lead the industry in terms of availability and options. Flexi-Brick is one of the leading brands and available at most major home supply chains. Flexi-Brick offers a range of colors as well as pre-formed corners to create ledges and three-dimensional details. Flexi-Brick advertises itself as the easiest brick veneer to install with a lightweight and flexible material that can be cut with scissors and applied to uneven surfaces. Z-Brick, established in 1956, was the first manufactured brick veneer company in the U.S. and remains an industry leader. Z-Brick offers brick veneer for interior and exterior use with a Z-Ment system that acts as an adhesive and mortar joints with no metal grid system necessary for installation. Brickweb offers thin brick that is pre-mounted and aligned on webbed sheets for easy installation. Brickweb systems offer the look of traditional masonry with real kiln-fired clay that can be installed indoors or outdoors. Other leading brands include Nextstone, Novabrik, Belden, and Old Mill Thin Brick Systems. Brick veneer is made with thin bricks mounted onto a surface. The bricks are less than half the thickness of a regular brick, which means less material is necessary during manufacturing. Each manufacturer uses different materials, although brick veneer is usually made from natural materials such as clay or made from raw materials, such as Portland cement mixed with aggregates for texture and color oxides. If you want the appearance of natural brick, clay brick veneer will have the most natural texture and appearance in earth and red tones. Brick veneer is available in a wide variety of colors and most manufacturers offer color catalogs with anywhere from 10 to 100 brick colors in hues of red and brown (for a traditional brick masonry style) as well as white, gray, buff, cream, tan, and black. Along with many color options, you can also choose among many textures and even shapes. Some manufacturers, such as Belden, offer special brick shapes to help you achieve the look you have in mind. You can use special brick shapes to add unique design elements like angles, curves, slopes, corners, and accents to your project. Brick veneer is certainly more affordable than solid brick, although it is one of the most expensive siding options, especially when compared to vinyl. The cost of brick veneer may be anywhere from $7 to $16 per square foot installed. Covering a 1,500 square foot surface can cost anywhere from $12,000 to more than $22,000. Real brick or brick veneer is going to be on your home for decades to come, so the structure beneath it must be in excellent condition. Before installation is the time to make needed upgrades and repairs. Here is a list of common improvements made before brick is installed and their cost. As homes settle and wood ages, framing can twist or bulge. Plywood can cup at the edges. All these prevent proper installation of genuine brick and brick veneer. If your home has these issues, it probably affected the appearance of the old siding, so won’t be a surprise when it is uncovered. Cost to repair a home’s sheathing: $3.75-$6.65 per square foot. When gutters, caulking and old siding fail, water penetrates into the wood and causes warping and rot. Common locations are the home’s fascia and the wood pockets around door and window frames. Sheathing must sometimes be replaced, an expense just listed above. Cost of fascia replacement: $6.00-$9.00 per linear foot for wood; 14-$20 per linear foot for aluminum or composite. Cost to repair window and door framing: $375-$650 per frame. Weather-resistant barrier (WRB) is also called house wrap or Tyvek (after a leading brand). It probably wasn’t used when your home was last sided, or what’s there is in poor condition. The purpose of WRB is to give your home a tight, energy-efficient envelope that reduces heating and cooling costs. It also prevents moisture penetration and allows trapped moisture to escape. In short, skipping house wrap is a shortcut that isn’t wise. Attics need ventilation, or heat and moisture get trapped. The problems caused include cupped shingles, rot and mold in the attic and high utility bills. If your home doesn’t have gable vents or if they are too small, this is an essential repair. It’s a cheap repair compared to the money is will save you over the years. There are many advantages to choosing brick veneer over solid brick construction. Veneer has a much thinner profile and less weight. While traditional brick has dimensions of 4″ x 8″, veneer has about one-quarter of the thickness with the same length and the same appearance once installed. Superior insulation is also an advantage of brick veneer over traditional brick. Brick itself is not a good insulator, although brick veneer is built on the outer edge of a home’s foundation, leaving a space of air between the veneer and the home’s sheathing for superior insulation. This air cavity between the veneer and the house keeps moisture out as well. Solid brick walls are poor insulators against cold and water and may allow moisture to get through exterior walls and into the home. Brick veneer does not require foundations or footings, unlike real brick. It requires a very simple support system, in most cases, unlike a solid brick home, which requires substantial foundation and footing. It can be installed indoors or outdoors and on any surface, including uneven or curved surfaces. Because it has just one layer of masonry and often comes on a webbed sheeting, brick veneer siding is very easy to install. In fact, it’s often marketed to do-it-yourself homeowners who have limited experience with mortar work. Like solid brick, brick veneer is attractive, durable, and fireproof. It requires no staining or painting and very little maintenance and it will never fade or rot. Veneer, however, is much more affordable than brick without sacrificing much in terms of durability. Veneer is very durable against the elements. There are a few downsides to brick veneer siding. It is not as stable as solid brick in case of heavy winds or earthquakes. Brick veneer isn’t recommended for all homes, however, including homes in earthquake-prone areas and homes that have a great deal of surface vibrations, such as homes located near heavy traffic. Brick veneer is also not recommended in areas that get heavy rainfall, as a great deal of rain can cause moisture retention within the surface of the brick veneer. Brick veneer can also be very labor intensive to install, depending on the home. Brick and brick or stone veneer siding cleaning costs are $.40 to $.85 (40-85 cents) per square foot of siding. 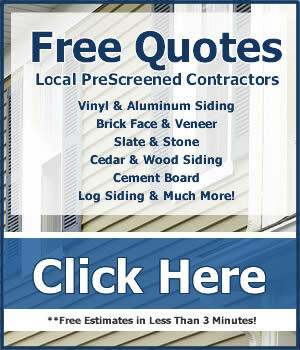 Who cleans your siding plays a major role in what the job will cost. From cheapest to costliest, your options are: Unlicensed handyman/licensed and insured handyman (+10%)/franchise-type cleaning service (+20)/service hired by a property management company (+25). While an unlicensed handyman service costs less, there is risk involved. If your home is damaged, you’ll probably have to pay the repair costs yourself. Common problems with brick and brick veneer cleaning are damaged veneer, displaced mortar and water forced behind the siding where it can cause leaks, mold and rot. These can be costly and serious issues. The best approach to getting quality, risk-free professional cleaning of your brick or veneer siding is to do the hiring yourself. Get estimates from several licensed, insured companies, and tell them they’re competing for the work. Brick and veneer siding can be cleaned with a pressure washer. A coat of cleaning detergent is sprayed on first and allowed to sit long enough to loosen dirt but not long enough to dry. Then, the detergent is rinsed using a pressure washer. Excessive pressure should not be used, or brick, mortar or veneer could be damaged. Also, mortar and the caulk around doors and windows should be in good condition before pressure washing the veneer or brick.